Megyn Kelly “Blood Coming Out of Her Wherever” comment in CNN Don Lemon interview: It was classic Trump, and not just because of his sexism. The outcry that followed was the stuff of Trump’s media-mongering dreams. “Donald Trump makes menstruation jibe at Megyn Kelly,” announced the Guardian. 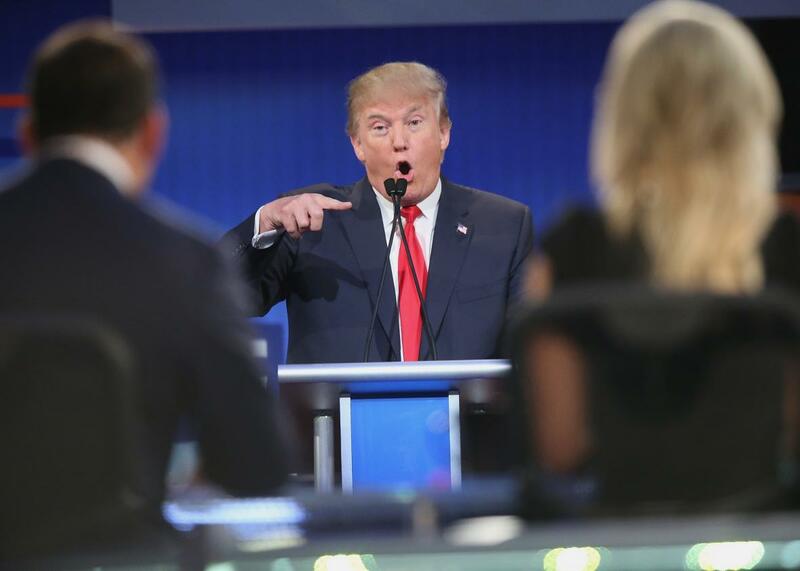 “Donald Trump’s ‘bloody’ slam of Megyn Kelly,” declared the Daily News. Even conservative writer Erick Erickson dumped Trump from the guest list of the RedState Gathering. Trump himself has insisted that he did not, in using the word “wherever,” actually mean to suggest that Kelly was on her period. Rather, as he later told the Today Show and CNN’s Jake Tapper, he meant that she was so angry that she seemed to be bleeding from some other orifice—like, say, a nose, or an ear. Overrated is one of Trump’s favorite insults. He has used it to burn many other public figures, from Charles Krauthammer to Bill Cosby. This makes sense, because the most notable feature of his worldview may be less his egomania or his general indecency than the way he regards the whole public sphere through the lens of ratings—it’s a realm of showmen and slobs, winners and losers, somebodies and nobodies. To Trump, all forms of renown are undifferentiated, all eyeballs equally desirable, whether directed toward a reality show or a presidential campaign. So overrated is the perfect encapsulation of his swaggering “us vs. them” mentality, his sense of his own impresario’s role in the culture. That, more than anything, was what seemed to be driving his loopy comments about Kelly. This is a man whose politics are exclusively personal, untainted by a single higher ideal. His Don Lemon interview was, as usual, a carnival of ad hominem jabs. “The dour George Will,” he said, “never has anything good to say about me, and I can tell you why: Something happened 12 years ago where I did a number on him. At least there I understand it.” That same day, he tweeted: “‪@FrankLuntz is a low class slob who came to my office looking for consulting work and I had zero interest,” after Luntz criticized him on the air. The brutal outlook that has fueled his whole campaign, the way he seems to assess the whole public arena as a field of prospects to hire or fire, is the same one that made The Apprentice such a hit. There are countless times when Trump’s misogyny has been truly remarkable. Like when he mailed Gail Collins a copy of her column with the words “face of a dog” scrawled across her picture. There are the many examples, as Kelly pointed out during the debate, of Trump describing women as “fat pigs” and “disgusting animals.” He also called Kelly herself a “bimbo.” But this exchange with Don Lemon seemed less like an example of Trump’s bad, blanket treatment of women than one more boring data point in his grievance-fueled philosophy of life.